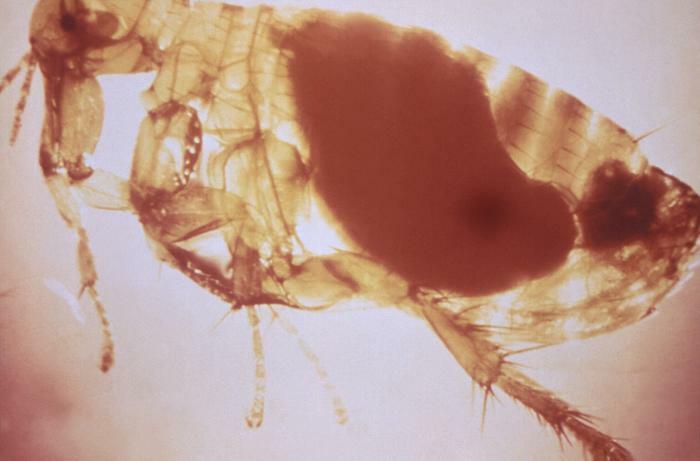 New Mexico has reported human plague cases every year since 2011 and now health officials are investigating Yersinia pestis as the likely cause of death of a 52-year-old Santa Fe County woman. Confirmatory testing is being conducted at the New Mexico Department of Health (NMDOH) Scientific Laboratory Division. Plague cases can occur at any time of the year in New Mexico, but most cases occur during the summer months. It is especially important now given the warm temperatures to take precautions to avoid rodents and their fleas which can expose people to plague. Pets that are allowed to roam and hunt can bring infected fleas from dead rodents back into the home, putting household members at risk. Symptoms of plague in humans include sudden onset of fever, chills, headache, and weakness. In most cases there is a painful swelling of the lymph node in the groin, armpit or neck areas. Rarely, plague infection can also cause pneumonia. Plague symptoms in cats and dogs are fever, lethargy and loss of appetite. There may be a swelling in the lymph node under the jaw. With prompt diagnosis and appropriate antibiotic treatment, the fatality rate in people and pets can be greatly reduced. Physicians who suspect plague should promptly report to NMDOH.